What is SEO / Search Engine Optimization - What is SEO? There is a very important point for all website owners and new bloggers. If you want to do any of your online business or earn money from Affiliate marketing and Google Adsense, you will need SEO, SEO will help in increasing traffic and revenue on your website. What is SEO ki full form? This is the 4 points that I am going to tell you in detail, in the first place you tell me the full form of SEO. 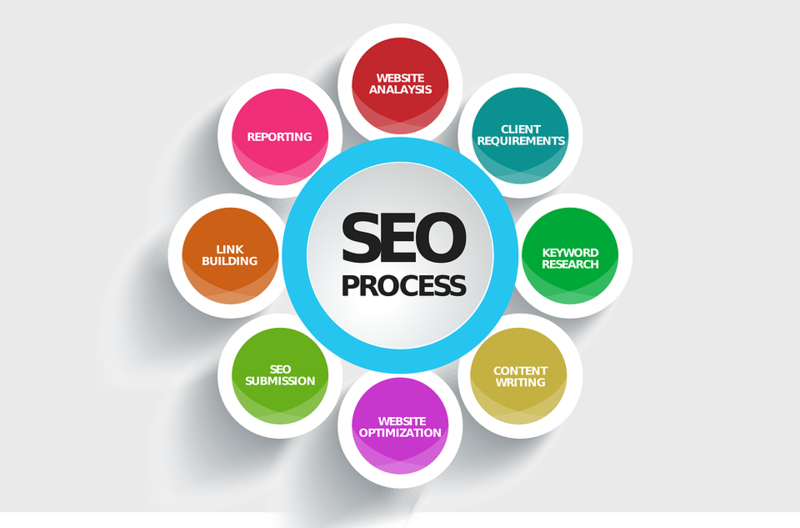 The complete form of SEO is search engine optimization. Now you might be thinking that the search engine is there? So do not think much if you speak in a simple language, Google Google is a search engine and it is the most popular search engine. If you search for anything on Google, it will bring many results in front of you, even if there is a more popular search engine such as Yahoo, Bing, Ask etc. There is no one better than Google. 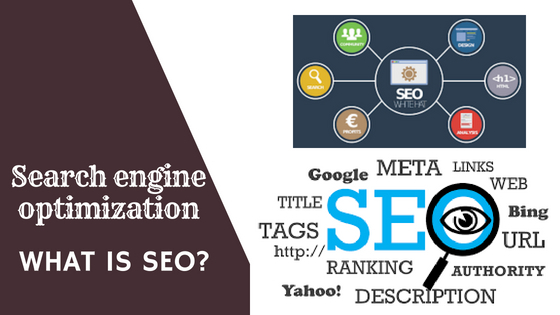 Now you have come to know the full form of SEO "Search engine optimization" Now we know what is SEO? If you speak in simple words, then putting your site on the first page of google, bing, yahoo on your website/blog in the search engine is called SEO. Why do we bring our site to Google's first page? This is a very good question, why do we want to bring our site to the first page, then friends should first tell who the money is? You may also be wondering how this is the question, you will say that money is needed by everyone. So that's just my answer in this question if your website is not SEO friendly then it will not come to the first page of Google and all the search engines and if your site does not come to the first page then the traffic will not come to your site (visitor) and if If you do not have traffic on your site then you can advertise as much as you like or fill affiliate link. You will not be able to earn a rupee even if you want it -> $$$$ <- so you have to do SEO. Perhaps you have now come to know that if you still do not understand then you can ask your question by going to the comment box below. As you have seen, there are two types of SEO and how you can use them, you will know in the article below. Note: If you do well on-page SEO and off-page SEO, then no one will be able to prevent your website coming to the first page. 4. How to use SEO | How do you use SEO? As I mentioned in the 3rd line, 2 types of search engine optimization are typed first on page and second off the page. If you want to use SEO, then you have to do this both steps. By following the step given below, Page and off pages will be able to SEO. So, first of all, we will talk about on page SEO how we can make our own website SEO friendly. Website speed is a very important factor for SEO for SEO and for visitors if it takes 10 to 15 seconds for your site to open, then Google does not like it or visitor as any visitor has so much The time is not that he weighs the weight of your page, he will weave for 2 to 4 seconds and then he will go away. So you can keep your site speed fast. Keeping your site's navigation easy to use, there is no trouble going to any visitor and Google from page to page. The title tag in your website is very good, so if any visitor gets it, clicking on your title will increase your CTR too. Do not use word usage more than 65 words in your title, because Google does not show the title tag in Google searches after 65 words. In this you can see that I have not repeat any word, and the bad ones are coming to SEO 3 times, then you make good titles for your site. In the same way, you have to write a description and you have to use it for 165 words, do not use more word use. 4. Need a post URL? When you write any post, you can link it to some internal links, for example, you can link one page to another page. This is a very good SEO technique. You can use the image on your website because you can get a lot of traffic from the image. Take a look at the google image searches but you do not forget to include ALT TAG in your image. Content: is a very important factor. On page SEO tips & trick, your content is enough to rank your website, and not to say, "content is king" Just think that you have to write your content very well, At least you can use 800 words if you can do more then it is a good thing to do site rankings and whatever content you write will be made of your own, do not copy it from anywhere. Heading: You can use a heading in your website but you take heading 2 because the one who is your title is heading 1 and when you heading 2 then you use your focus keyword in it. Keyword: You should also use LSI Keyword in your article and bolding a few very important keywords so that Google knows that this is a required word and the visitor's attention is appreciated. 8. Your website should be mobile friendly. If your site is not mobile friendly then your site will not rank and Google will get the wrong impact. On top of our on-page optimization, we will now talk about off-page as seen on-on-page. I have worked only on my website but in the off-page it is the opposite that we go to another website Do it. There are many ways to do Off-Page SEO which you will learn below. Bookmarking: Submit your website's page and post by visiting the bookmarking website. Directory Submission: Submit your website to a popular high PR directory. Advertise your website for free by visiting Classifieds Classifieds: free classifieds! Pin: Posting your image on Pinterest, this is a very good way to increase traffic. Now, this post is finished on this. Now maybe you have got complete information about it. If you have any questions related to it then you can go to the comment box below to ask your question. And if you like this article, please share it on social media. Thank you for your precious time, please apply for this article, please come again.